Another great week for Benivo. We won an award, got nominated for another 5 awards, and most importantly — received an exceptional gesture from a client employee that warmed our hearts. Let’s start with Benivo winning the runner-up position at the FEM APAC EMMAS 2018 for the prestigious award of Global Mobility Professional of the Year. The FEM (Forum for Expatriate Management) is the worldwide community for Global Mobility, and this is a fantastic result for our CEO Nitzan Yudan, especially as until 5 years ago he didn’t know a Global Mobility function even existed. It’s a strong recognition for Benivo’s mission to make every employee welcome and to use technology in order to ensure that budget is no longer a challenge in providing an outstanding welcome experience to mobile talent. Most innovative use of technology - Benivo delivers digital product solutions for leading global employers to help their employees relocate and settle in to a new city. What used to be a costly service for the most senior employees has become an affordable product that provides a five-star experience for every single employee. Best vendor partnership - Remedium Partners is the leading recruitment company in the UK for overseas doctors, helping the NHS save millions every year. Remedium Partners & Benivo developed a white-label technology solution to make every relocating doctor welcome. With the partnership, Remedium Partners were able to scale their business and provide a better experience to the doctors, using digital solutions. Best vendor partnership - Hertz & Benivo partnered to deliver an outstanding welcome experience to help exceptional talent relocate to Hertz’s Shared Services Centre in Ireland which houses 800 employees from 40 countries. Our technology solution improved the employee experience by over 30%! Best research - AIRINC & Benivo partnered to conduct the first ever Global Mobility research study into junior level mobility programs — i.e. the most basic policies. Rather than focusing on traditional assignees (business travellers etc), AIRINC and Benivo focused on an area which is often overlooked but which is becoming increasingly important — employees in the first 2-7 years of their careers. Participation was far higher than expected: More than 100 large corporates decided to take part in the research, sharing their insights, best practices and concerns in order to direct more attention on this space. 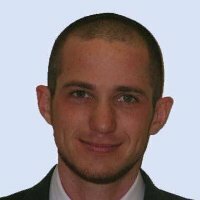 Rising Star in Global Mobility - Nitzan Yudan - In just a few years, Benivo CEO Nitzan Yudan and the rest of his team have broken the mold of what used to be a domain of expensive services, delivered manually. By developing digital solutions to suit every mobile employee, they have managed to improve the Employee Experience of everyone’s relocation by 50%, as measured by NPS — without breaking the budget. Awards are an important professional recognition for us, and we are extremely proud of these achievements. However, what makes us even prouder is to know that we’ve made an impact. 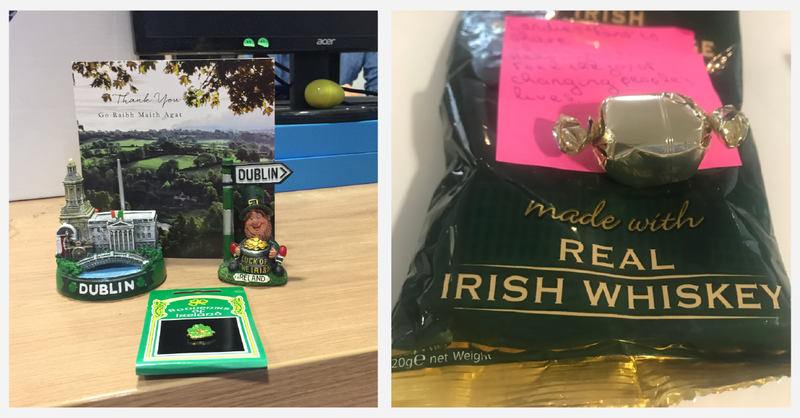 This week, we had one such special moment, when one of our clients’ employees who relocated to Dublin sent us a package with a touching letter, chocolates, and souvenirs from Dublin. We often get positive feedback from our clients and client employees. Our Net Promoter Score (NPS) has dramatically improved from +20 at the end of 2017 to now over 70, which is all down to a constant iteration on our processes*. But to receive such a beautiful gesture from someone who we made a difference to is very touching. And it’s the very reason we’re in business in the first place! So thank you, unnamed employee, we wish you all the best in your new life in Dublin. Such moments make all the hard work be worth it. Join us on our journey to make every employee welcome!